"Dear Mother, I am writing from the trenches. It is 11 o'clock in the morning. Beside me is a coke fire, opposite me a 'dug-out' (wet) with straw in it. The ground is sloppy in the actual trench, but frozen elsewhere. In my mouth is a pipe presented by Princess Mary . In the pipe is tobacco. Of course, you say. But wait. In the pipe is German tobacco. Ha, ha, you say, from a prisoner or found in a captured trench. Oh, dear, no! From a German soldier. 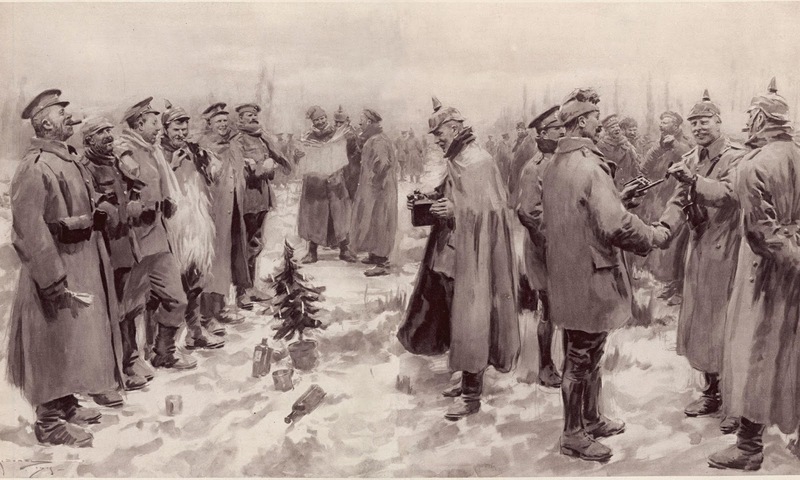 Yes a live German soldier from his own trench..."
Thus, teasingly, did Henry Williamson begin his first account of the Christmas Truce. Later in life as a famous author, he wrote again about the Truce both in fact and fiction for he was deeply affected by this fraternisation with 'the enemy' in No Mans Land, but for now he set down his experiences in letters to his family at 11 (now 21) Eastern Road. "It happened thiswise. On Xmas Eve both armies sang carols and cheered & there was very little firing. The Germans (in some places 80 yards away) called to our men to come & fetch a cigar & our men told them to come to us. This went on for some time, neither fully trusting the other, until, after much promising to 'play the game' a bold Tommy crept out & stood between the trenches, & immediately a Saxon came to meet him. They shook hands & laughed. 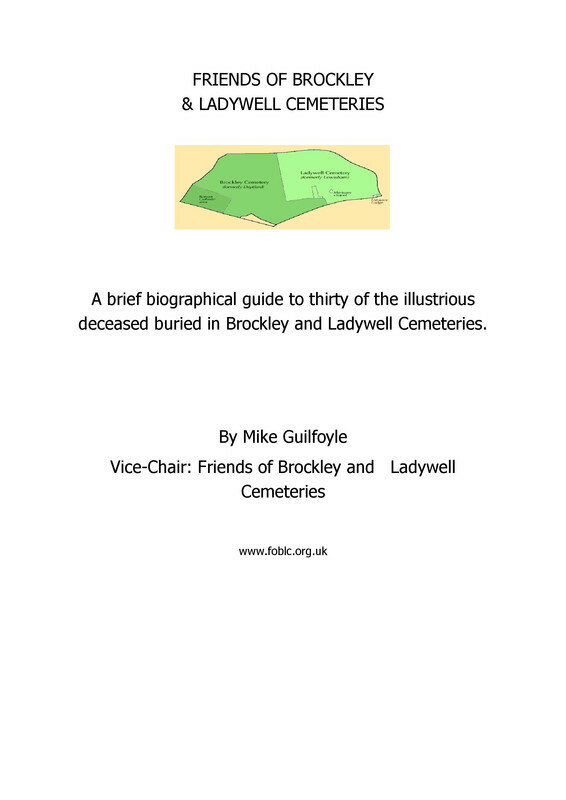 Thus the ice was broken..."
Williamson wrote mainly to his mother Gertrude who is now buried in Ladywell cemetery. Henry was her only son and barely 18 years old when in January 1914, he volunteered as a part-time Territorial, never dreaming that before the year was out he would be serving on the Western Front. After mobilisation in August 1914, he trained for several weeks at military camps in the English countryside. His biographer Anne Williamson describes him as 'a very emotionally young and raw youth in a wild flux of alternating excitement and trepidation...separated from his family for the first time'. He was keen for news from home and to know who else had joined up. "Does the Hilly fields seem desolate of fellows?" 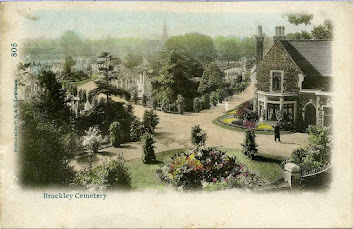 he asked his mother in a letter of 2nd September from Bisley. "It has been awful in the trenches. For two days and nights we have been in nearly 36 inches of mud & water. Can you picture us, sleeping standing up, cold and wet halfway up to our thighs, and covered in mud. ..The people at home cannot imagine the terrible hardships we go through. Think of us in the River Ravensbourne at home in the mud & water for 50 hours on end!" "Many are gentle looking men in goatee beards and spectacles, and some are very big and arrogant looking...We had a burial service in the afternoon, over the dead Germans who perished...the Germans put 'For Fatherland & Freedom' on the cross. They obviously think their cause is a just one". British and German soldiers in No Man's Land enjoying the truce. Mud but no snow! Then, as Williamson had mentioned in his Boxing Day letter, the Germans dig a grave for one of their dead 'stiff as a statue that had been lying out in No Man's Land for weeks'. Phillip and two other 'Englischers' stand to attention at the graveside with some of the German soldiers while a short service is held . 'There was shortly afterwards another surprise in this day of surprises, when a football was kicked into the air, and several men ran after it. The upshot was a match proposed between the two armies, to be held in a field between the German lines'. Historians are still debating whether the football games were proper matches or just kickabouts. Williamson's brief mention in 'A Fox Under My Cloak' suggests the former, at least where he was serving. Williamson served again on the Front as a Lieutenant in 1917 and 1918 and continued to write home to 'Dear Mother', 'Dear Mum', 'Dear Mater' and even 'Dear Darling Old Mother'. But he had also heard the words 'Mother, mother' on the lips of dying British comrades and the words 'Mutter, mutter' from the lips of dying Germans. The horror and tragedy of it all, as well as the memory of that brief outbreak of friendship on Christmas Day 1914, stayed with him for the rest of his life. Footnote: a remarkable television interview with Henry Williamson from 1963 in which he talks about his experiences in WW1 and about the Christmas Truce ("all of No Man's Land as far as we could see was grey and khaki") can be found here. 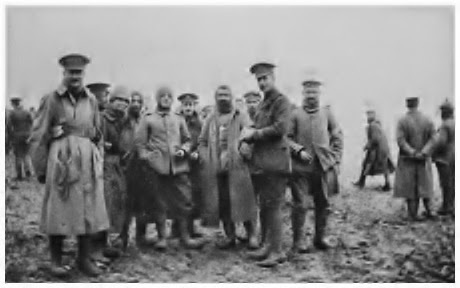 The Christmas Truce website contains many more letters home from soldiers who took part in the Truce. 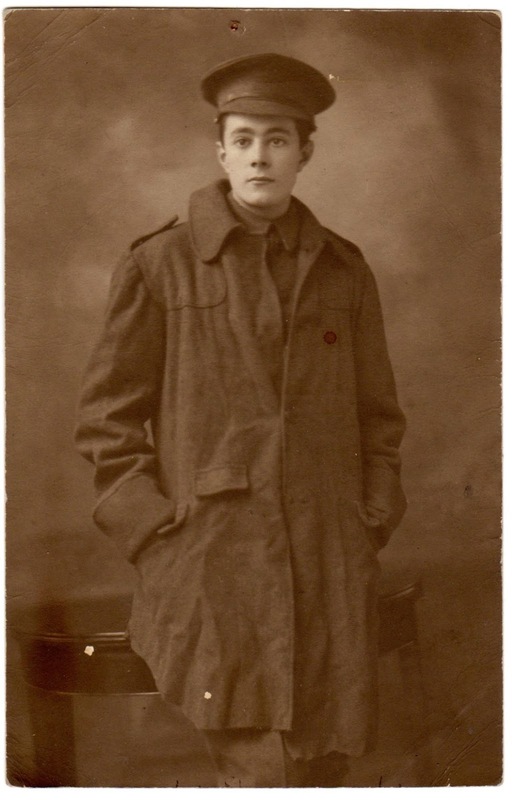 Many thanks to Anne Williamson for permission to quote from her book 'Henry Williamson and the First World War' and from Henry Williamson's novel 'A Fox Under My Cloak' and for providing the photograph of Henry Williamson used in this article. Details of all Henry Williamson's books can be found here.